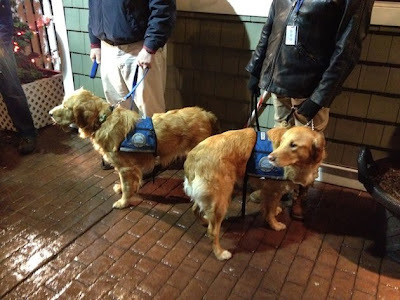 (REFRESHING NEWS 99) A Lutheran charity group has sent about eight golden retrievers to comfort the survivors of Friday’s mass shooting at Sandy Hook Elementary School in Newtown, Conn. Lutheran Church Charities in Addison, Ill., sent the dogs on an 800-mile journey to respond to the disaster. The comfort-dog initiative started in 2008 at Northern Illinois University after a gunman killed five students. A group of dog caretakers associated with Lutheran Church Charities went to provide a distraction for the student community. The initiative has grown from a handful of dogs in the Chicago area to 60 dogs in six different states, Hetzner said. The LCC website notes that the eight dogs serving in Newtown are Abbi, Barnabas, Chewie, Hannah, Luther, Prince, Ruthie, and Shami.